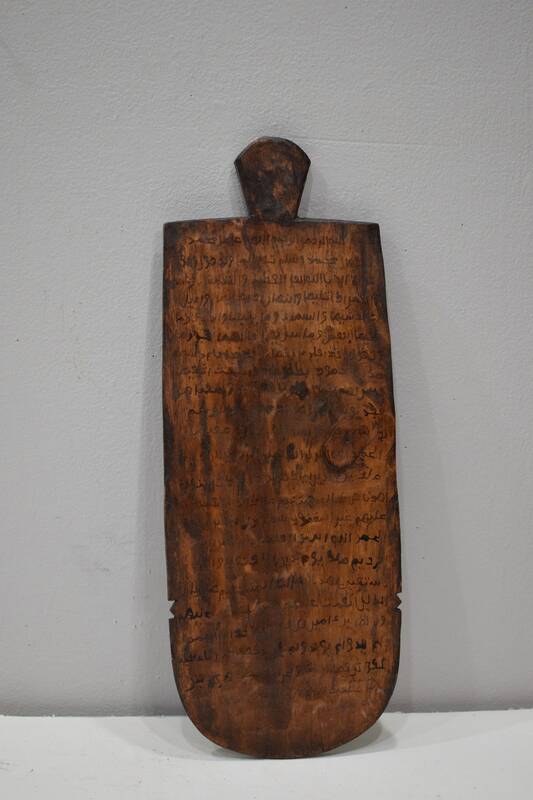 This is a fabulous Old Wood Koran Writing Board from Burkina Faso. 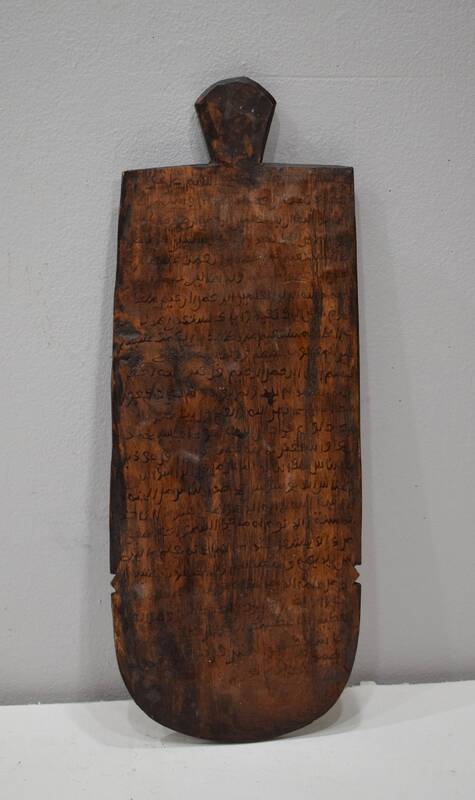 Wood writing boards, some of them embellished with magic squares and other non-figurative designs in addition to Koranic script, serve to illustrate the long history of Islam and literacy in Africa. These tables are inscribed with Qur'an verses and symbolic numbers imbibed by sick persons for curative purposes. The boards are most often used by young Moslem students who are learning to read, write and recite Sura or passages from the Koran, Islam's sacred book. As lessons are completed, boards are washed for reuse. Writing boards may also be used in contexts that suggest a synthesis of earlier animistic beliefs and the Islamic faith that superseded it. In some cases, a client seeking protection against disease or misfortune may visit a ritual practitioner who writes passages from the Koran or another source onto the writing board. In a gesture that crystallizes the potency of the written words and also ensures protection, the client collects the liquid used to rinse the writing boards and drinks it. This Koran board is wonderful and unique and would be a great addition to your home or collection.